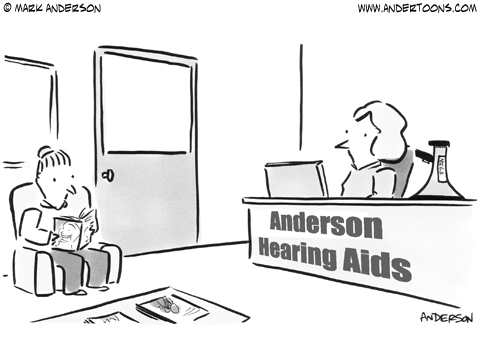 Here are some jokes and cartoons to get your day off to a smiling start. Come back often to see the latest funnies! We hope you enjoy these daily Jokes and Riddles and will come back often to enjoy them. Also find out what happened on this day in history. A horse is tied to a 15 ft. rope and there is a bail of hay 25 ft. away from him. Yet the horse is able to eat from the bale of hay. How is this possible? The other end of the rope isn't tied to anything. Alternate answer: The post that the horse is tied to is in between the horse and the bale of hay. Definition: To expose or ridicule the falseness, sham, or exaggerated claims of. Disclaimer: As far as we are aware, all jokes/cartoons are either in the public domain or appear here with the permission of and proper attribution to their copyright owners. If you feel that any content here infringes on your copyrights, notify us with the details and we will remove it.